Jean is originally from the Nipissing area, where he attended elementary and secondary school. He studied architecture at the Carleton University School of Architecture in Ottawa, where he graduated in 1985 receiving a Bachelor of Architecture with Distinction. Upon graduating, Jean worked in architectural firms in both Ottawa and Toronto, returned to North Bay in 1988 to practice architecture in Northern Ontario, and co-founded LEA Architectes Inc. in 1995. Jean is fluent in both French and English and is a LEED Accredited Professional with the Building Design + Construction Designation . He is committed and passionate about improving the built environment through sustainable design practices. Originally from southern Ontario, Ruth studied architecture at Carleton University in Ottawa and in 1985 received her Bachelor of Architecture. Ruth worked for the Architectural branch of the National Museums of Canada in Ottawa and worked in numerous architectural firms in Toronto specializing in institutional projects. In 1988, Ruth moved to North Bay to practice architecture in Northern Ontario and co-founded LEA Architectes Inc in 1995. Ruth's strengths and responsibilities include the preparation of functional programs, need assessments and building design. Her ability to listen carefully, comprehend, analyze and transform complex requirements into practical solutions has led the firm to successfully complete and deliver state-of-the-art, award-winning projects. Jeff De Decker, Lic. Tech. OAA, BCIN, B.A. Jeff is originally from southern Ontario where he completed his Bachelor of Arts with a major in mathematics at the University of Guelph. In 2004 he achieved his Diploma in Architectural Technology and worked for 3 years as an architectural technologist in Dartmouth, Nova Scotia. In 2007, Jeff joined LEA where he has been actively involved in a number of the firm's projects from inception through to completion. His detail oriented nature, knowledge of the Ontario Building Code, ability to efficiently coordinate a project and his leadership and communication skills have allowed him to excel in the role as Senior Project Manager / Contract Administrator. Born and raised in Northern Ontario, Mary-Ann has been with the LEA team since the company's inception and has been working directly with partners Jean Larocque and Ruth Elder since 1989. A senior technologist with the firm and a graduate from Fanshawe College's Architectural Technology co-op program, Mary-Ann has been directly involved in the development of numerous multi-faceted projects completed by LEA. Mary-Ann's highly advanced AutoCAD skills combined with her knowledge of space planning, furniture systems, design guidelines, codes and governing regulations and excellent communication and coordination skills allow her to advance projects of various scales and disciplines from the programming and planning stages through to Contract Documents. Laure is originally from North Bay and holds a Bachelor of Science degree from the University of Guelph. Laure joined LEA full-time in 2012 and has worked part time since 2007. She has experience in preparing proposal, tender documents, and assisting architects and project managers with their contract administration duties, which includes preparing colour schedules and assisting with interior finishes. In addition, Laure successfully contributes to the team with her graphic design abilities in website design, business advancements, social media pages, Photoshop, brochures design, logo design, interior/exterior signage and wayfinding signage. Olivier is originally from North Bay and holds a Masters Degree from the Azrieli School of Architecture & Urbanism at Carleton University in Ottawa. Olivier has been working for LEA part-time since 2010 and has joined full-time in 2018 with the intentions of pursuing his registration as an OAA Architect. Olivier has had the opportunity over the years to actively work on design competitions, notable architectural projects abroad, in the Ottawa region and in the North Bay area. Olivier’s versatility, attention to details and ability to quickly find creative solutions to complex design and construction issues is what makes him a valuable member of the LEA team. 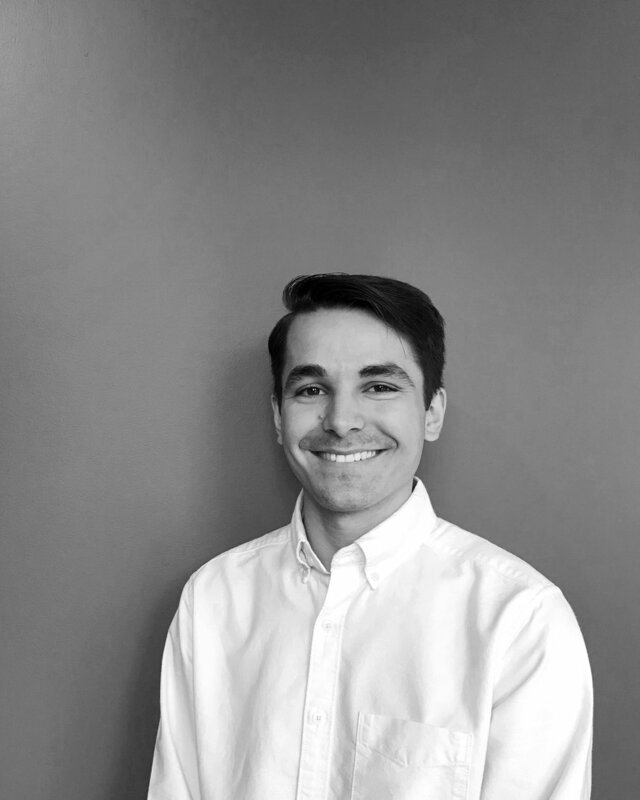 Prior to joining the LEA team, Matt relocated from south-western Ontario to study Architecture at Carleton University where he focused on developing his passion for design and fabrication. Recently graduated with his Masters of Architecture with Distinction, Matt has rejoined the LEA team following his summer position in 2016. In 2017, Matt became a registered Intern Architect and had the opportunity to work on several heritage preservation initiatives and significant public/private institutional projects in the greater Ottawa area. This experience combined with his ambitions to unify nature and urban contexts has allowed him to thoughtfully engage with several exciting projects across Ontario; a unique, complementary perspective which he brings to the LEA team. Rachelle attended Laurentian University in Sudbury where she completed her Bachelor of Science degree in Mathematics. Her lifelong enjoyment of working with numbers has lead to her present career as a bookkeeper. Rachelle joined LEA in 2012 and plays an important role when it comes to preparing invoices, day-to-day accounting and HR tasks. Although she is not part of the design team, Rachelle has participated in many of LEA’s projects from beginning to end.